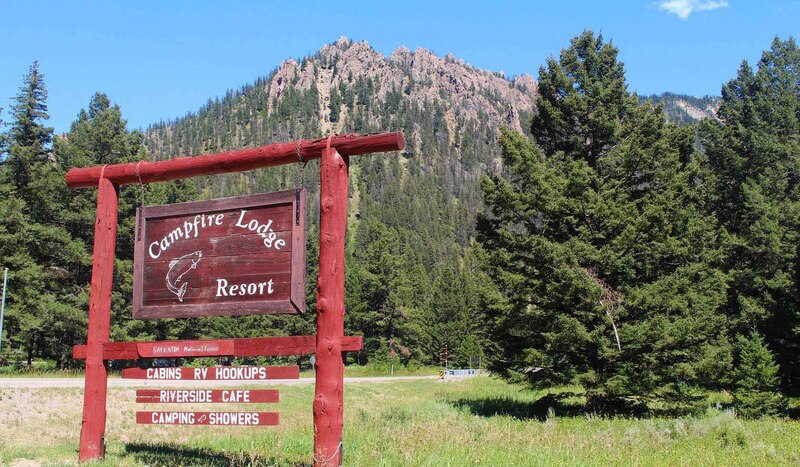 At Campfire Lodge we have 14 cabins to rent, some right along the shores of the Madison River. We also have a RV Trailer Park with 17 full RV hook ups and 7 water and electric only RV Trailer sites. We have 7 Tent Campsites offering spectacular mountain view and use of our laundry room and showers! Our Madison riverside cafe is well known throughout the area for our famous breakfast and lunches. Enjoy a hearty meal at our West Yellowstone Riverside Cafe. Wildlife abounds throughout the area and we are near the Yellowstone National Park. Located on the famous Madison River in the Gallatin National Forest for great fly fishing & spectacular scenery.